explore trends, tips, case studies, best practices, features, and more. 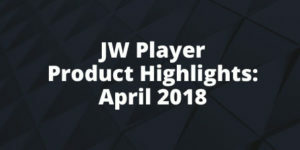 Learn how OTT Apps from JW Player provides quick and scalable solutions for premium viewing experiences across every video platform. 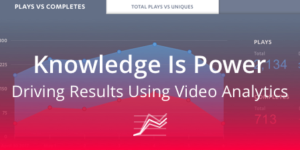 Get the story on how JW Player helps you captivate audiences with an independent, flexible, and complete solution for all things video. 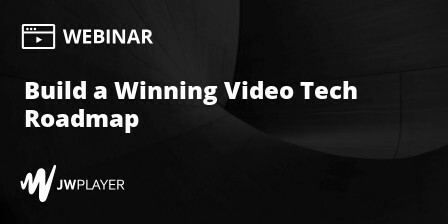 Learn advanced tips on how to ensure your video tech is tightly integrated to successfully drive revenue and provide an engaging user experience. 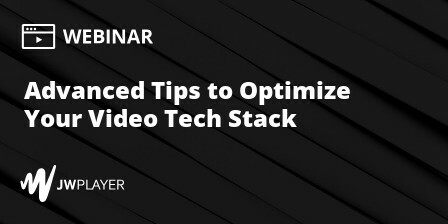 Learn how to effectively integrate, implement, and manage the various pieces of your video tech stack. 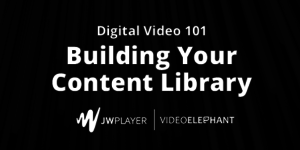 Learn about all the latest features and enhancements for digital video from JW Player. We'll cover the benefits of these releases as well as take questions on best practices for implementing them at your company. 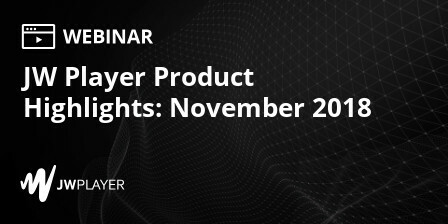 Hear JW Player’s product leaders as they provide an overview of what’s new for November and discuss longer term product strategy. 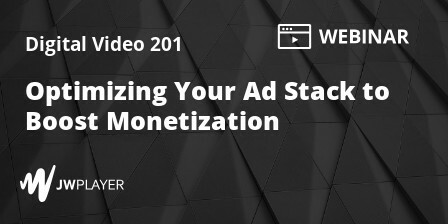 Watch our webinar to learn how to build and optimize your ad stack to maximize your fill rates, CPMs, and revenues. 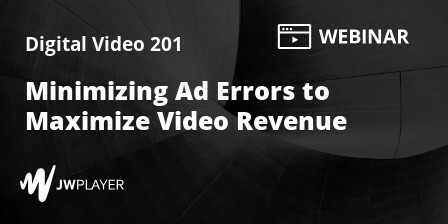 Watch our webinar to learn about the causes of ad errors, how they can impact ad revenue and tips for fixing them. 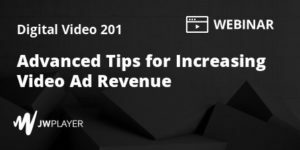 Watch the first part of our Digital Video 201 webinar series for advanced tips on how to grow your video business with maximum ad yield, fill rates and CPMs. 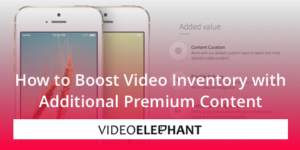 Check out our monthly webinar highlighting newly released products that will help you grow your video business. 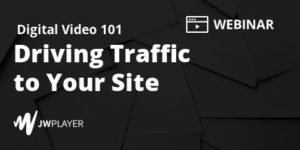 Watch part five of our Digital Video 101 series to learn how to drive viewers to your site to build loyal audiences, drive viewership and increase your revenue. 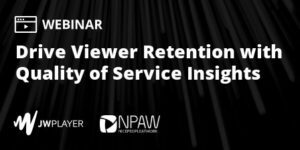 Learn how JW Player and Nice People At Work can help you gain insight into your tech stack to maximize viewer engagement. 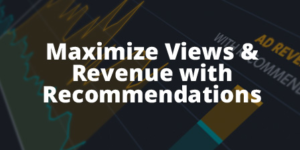 Watch our webinar to learn how to implement and use video analytics to help you make the right decisions to drive business growth from your video strategy. 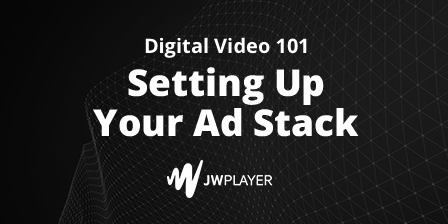 Learn how to set up your ad stack the right way to make sure your video strategy is maximizing payout. 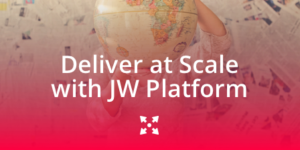 Learn how JW Player and VideoElephant can help you supplement your existing video library at scale and with minimal resources to drive more engagement and revenue. 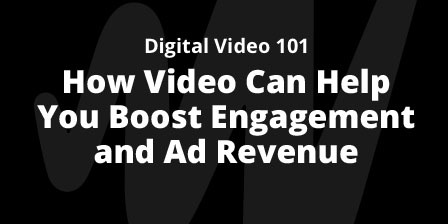 Watch part 1 of our "Digital Video 101" series for tips and advice for launching a successful video strategy. 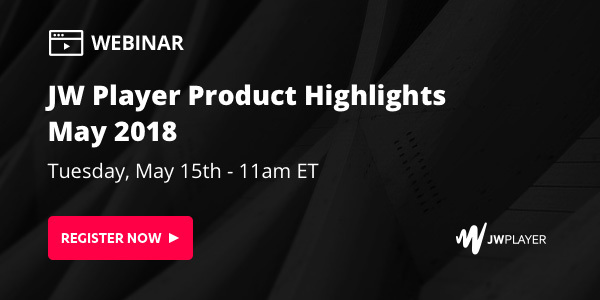 Watch our monthly product webinar series to learn about the newest product releases for May and hear about longer term product strategy. 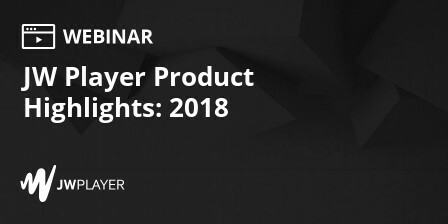 Watch our monthly product webinar series to learn about the newest product releases for April and hear about longer term product strategy. 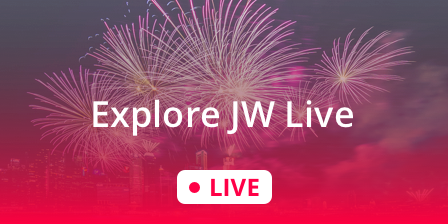 Learn more about our latest updates to JW Recommendations, and how you can deliver the video content that your viewers want to see — when and how they want to see it. 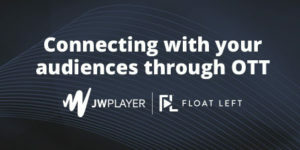 Watch our on-demand webinar to learn how JW Player & Float Left are helping publishers and broadcasters connect content creators with their OTT audiences. 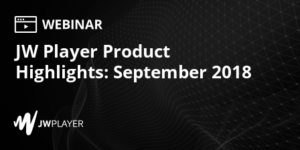 Watch our on-demand webinar with Chris Mulgannon, Product Manager of Video Advertising, to learn how to prepare for upcoming autoplay browser changes. 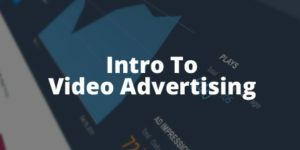 He will also cover video best practices to boost revenue, ad fill, and improve the viewer experience. 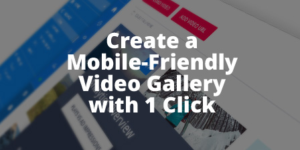 Watch this on-demand webinar to learn how to use Showcase to create a fast and mobile video website that’s ready for monetization. 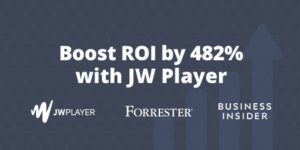 Watch our webinar with John Ore, SVP of Product at Business Insider, Reggie Lau, Forrester Principal Consultant, and Dave Otten, JW Player, CEO, to learn how digital publishers can achieve an ROI of 482% with JW Player. 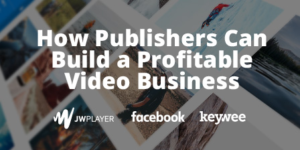 In this webinar with Keywee, Facebook, and JW Player we walk through the tools, tactics, and strategies you'll need to make your video business profitable. 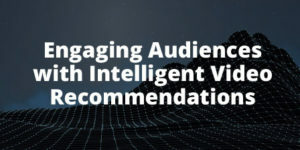 Join Franklin Dement, Senior Product Manager, as he shares tips for driving engagement and maximizing revenue with recommended playlists. Learn about the improvements we made to our latest player release, including industry-leading support of Facebook Webview & VAST 4, increased player speed (our fastest player to date), enhanced branding customization options, and more. 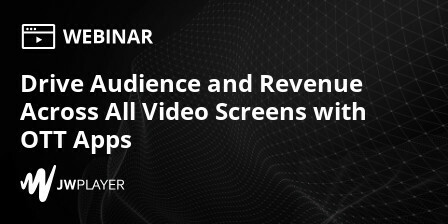 Watch our webinar with Andre Pina, Solutions Architect at JW Player, to learn about the basics of video advertising with topics ranging from different types of ad formats to ad terminology. 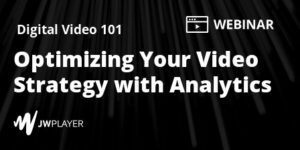 Watch this webinar with product managers, Rotimi Oyewole and Dan Breyre, as they discuss best practices for using analytics to make the right business decisions for your video content strategy. 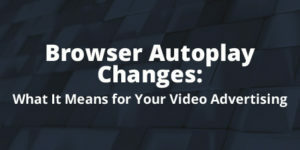 With browser changes announced recently by Chrome and Safari, now is an ideal time for publishers to audit their settings and make sure their video technology is set-up to deliver for the best user experience possible. 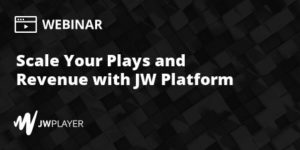 Watch this on-demand webinar to learn how to quickly and easily stream live events to your audience on any device, with tools seamlessly integrated into the JW Player & JW Platform tech stack. Explore our full-service video hosting, management and analytics cloud platform. 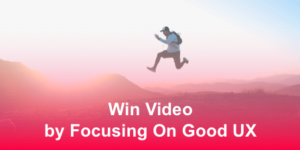 In today’s highly competitive environment, it is critical for publishers to leverage a full-service video platform to deliver content and streamline workflows with speed, power, and efficiency. Publishers and brands are using 360 Video to engage viewers and consumers. Curious about what it all means and how you can give it a try? 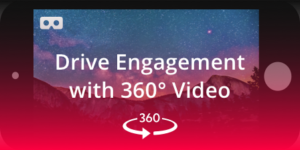 Henry Lee, Product Manager of Mobile & 360 Video at JW Player, walks through the latest 360 Video enhancements in JW Player and how to publish your 360 Video in 3 quick & easy steps. 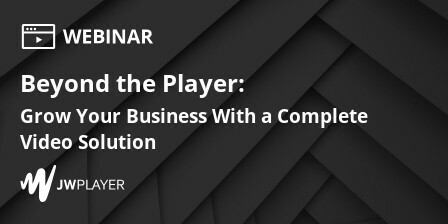 This on-demand webinar features Ryan Beebe, Head of International Business Development at JW Player, and Brian Cullinane, SVP Business Development & Strategic Partnerships at VideoElephant. They explain how to leverage video to grow audience and revenue, and share customer success stories.